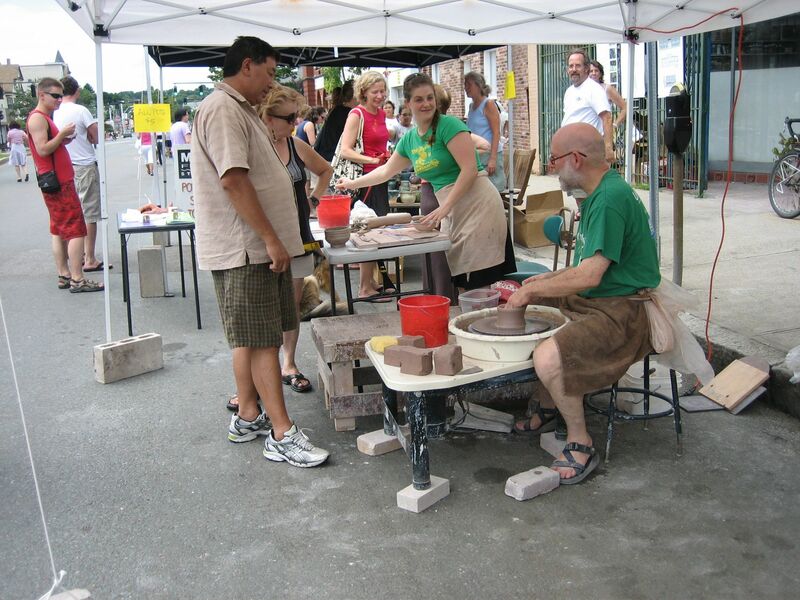 Mudflat celebrates the Somerville Street Festival. 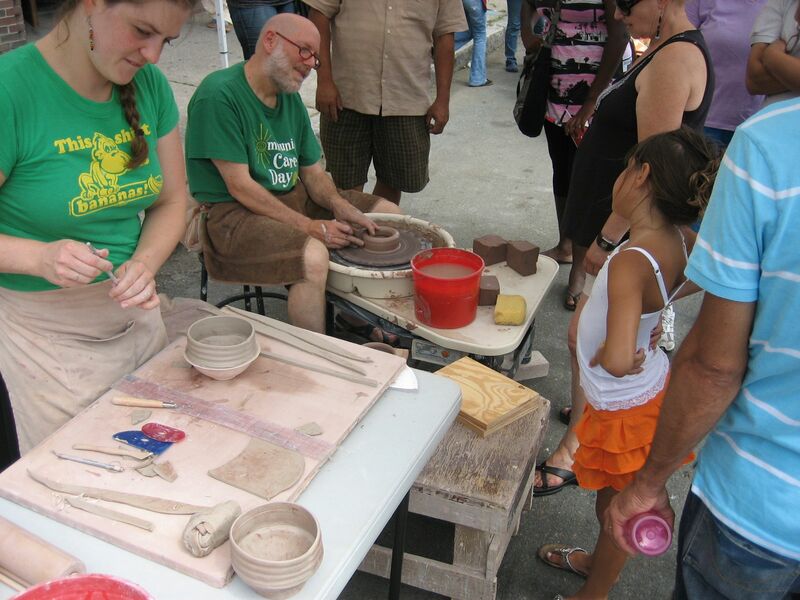 Howard Gerstein and Jennifer DeAngelis demonstrate clay and entertain the crowds at the Somerville Street Festival while the rest of the Mudflat crew sells, wraps, and bags pots. Thank you shoppers. We break ground for the new building renovation this Thursday, so every pot counts! This entry was posted on July 26, 2010 at 3:02 am and is filed under clay, Mudflat Studio, Uncategorized. You can follow any responses to this entry through the RSS 2.0 feed. You can leave a response, or trackback from your own site.